Thinking of starting your Couples Resorts journey? 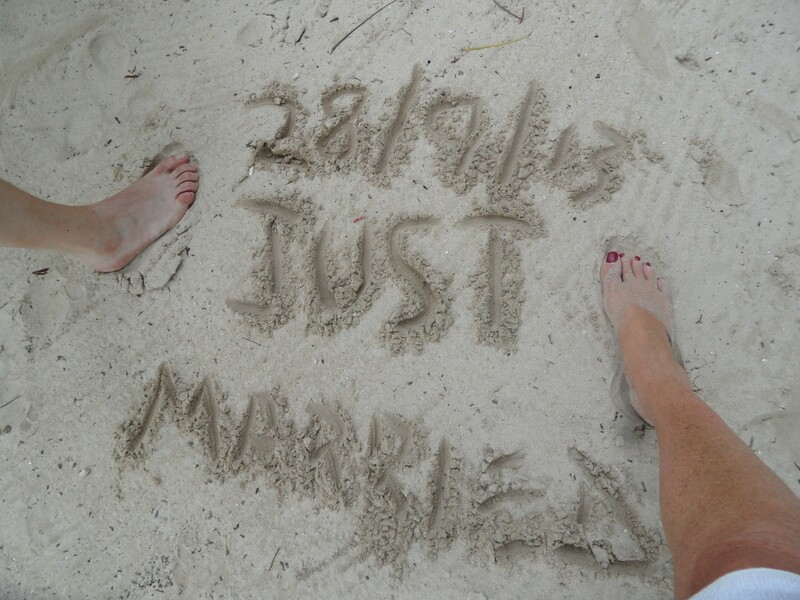 Find out what this guest thought in this Couples Resorts Review 2016. Christine Mitchell and her husband Kev both hail from Broadstairs in Kent. Their first trip to Couples Resorts was in 2013. Read on and hear what they thought of their experience in this Couples Resorts review 2016. “Well, where do we start? My husband and I met each other late in life when we were both aged 58 years. When we decided to get married we wanted it to be very special and a moment for just us. Couples Swept Away was recommended to us by Virgin and how happy we were that they made that recommendation! Our first impression upon arriving at the resort was how special it felt.The sound of the tree frogs was magical – a sound which we both still miss! 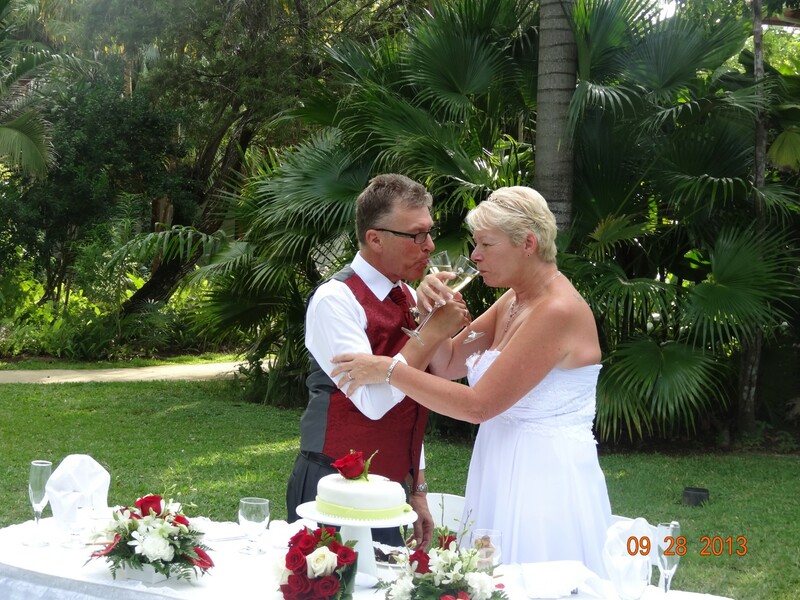 On the 28th September, Kev and I were wed in the tropical gardens of Couples Swept Away. The morning started with a lovely breakfast overlooking the beach. The staff had prepared a beautiful table for the meal, which was decorated with flowers. Following breakfast we had a nice stroll along the beach, before we both enjoyed a relaxing massage in the spa. At 4pm that same day, we were married under the Jamaican sunshine. It was a perfect day from start to finish. That evening we went for dinner, during which staff members presented Kev with a birthday cake – a very thoughtful gesture. 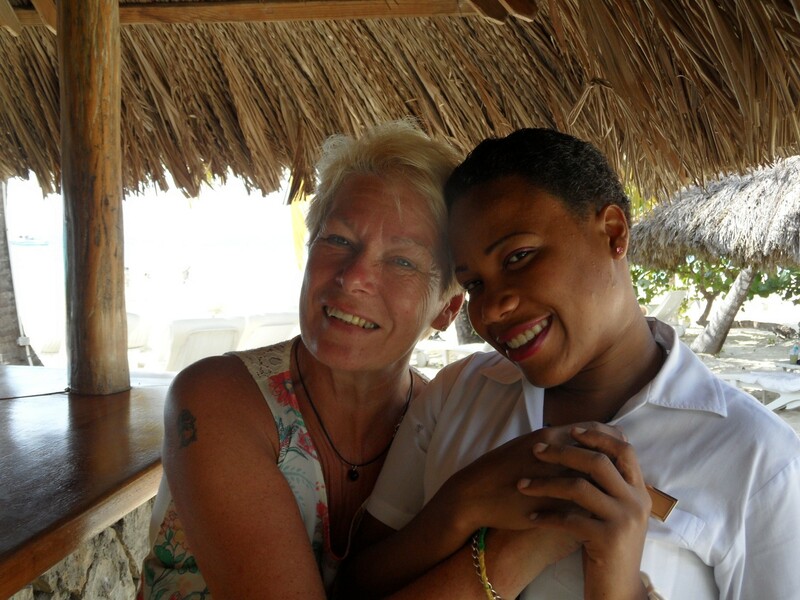 Nothing is too much trouble for the staff at Couples Resorts. They are so friendly and genuine. And with a no tipping policy in place, you can really tell that they are being genuine. There really is no comparison to Couples Swept Away. Are you thinking about making some memories at Couples Resorts? Take a look at our latest special offers. Have you been to Couples Resorts? Tweets us @CouplesUK and tell us what you thought!